We didn’t doubt for one second that the taxi driver dropped us off at the wrong place. The moment we stepped out of the car, we were greeted by a lovely site of a street full of all things edible you can fish from the sea. 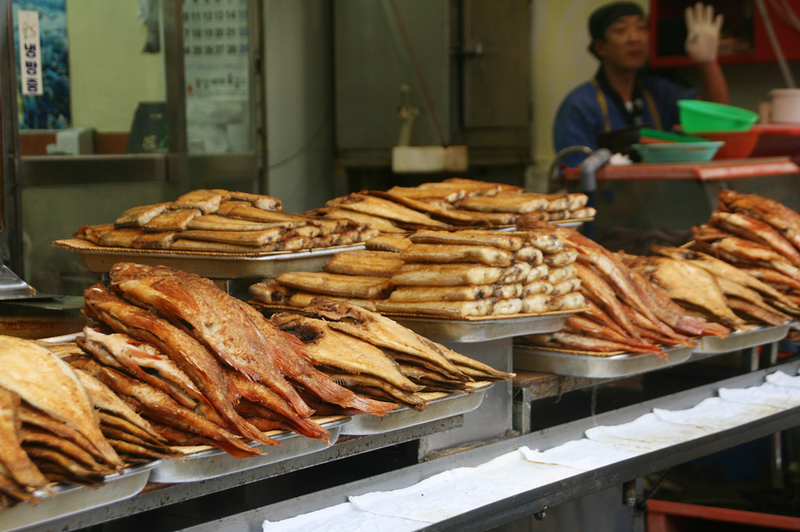 It was stalls upon stalls selling all varieties of seafood, arranged perfectly for customers. It reminded me of the wet market back home, but this one seems to be a lot easier to navigate since they’re lining up the port. Also, you can’t find pork, beef, nor any other kind of meat here. 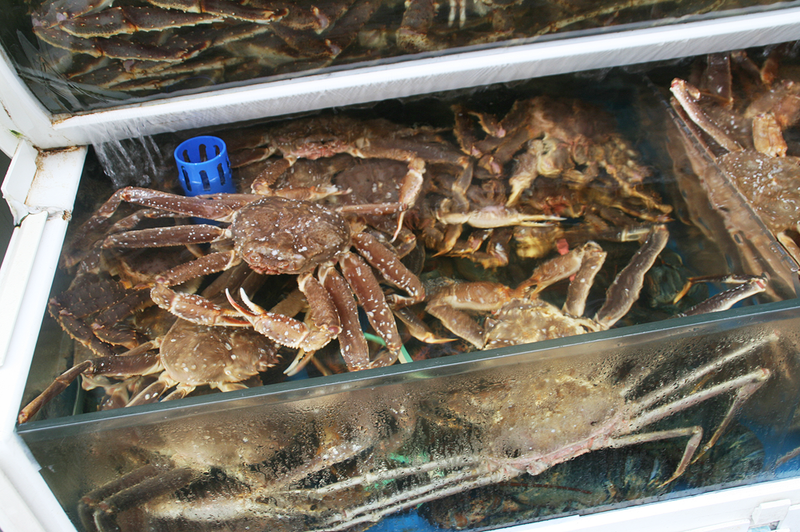 I was delighted to see the biggest crabs ever. I love seafood, and I can eat my alimasag everyday! But I knew it would be way out of budget if tried any of the fresh goodies. 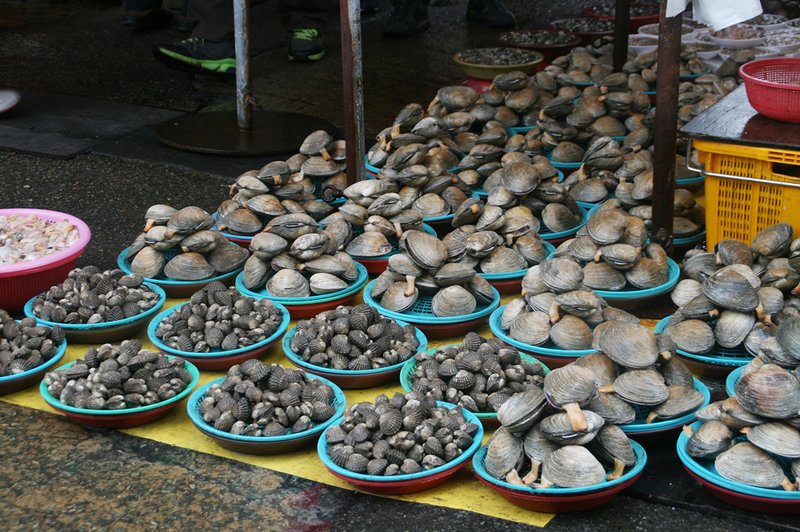 Sadly, the seafood restaurants facing the fish market offered delicious-looking food for quite a fortune! 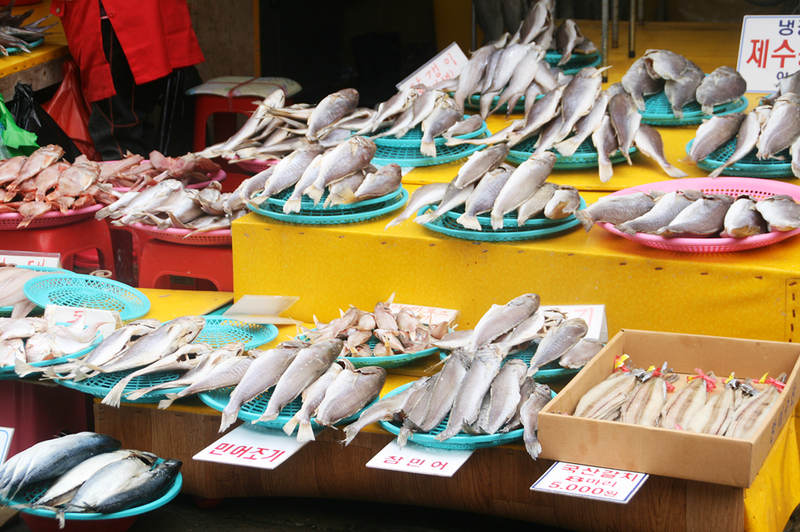 Coming from a tropical country where we eat fish on a daily basis, I couldn’t fathom why I had to shell out 7,000 KRW for a fried fish. 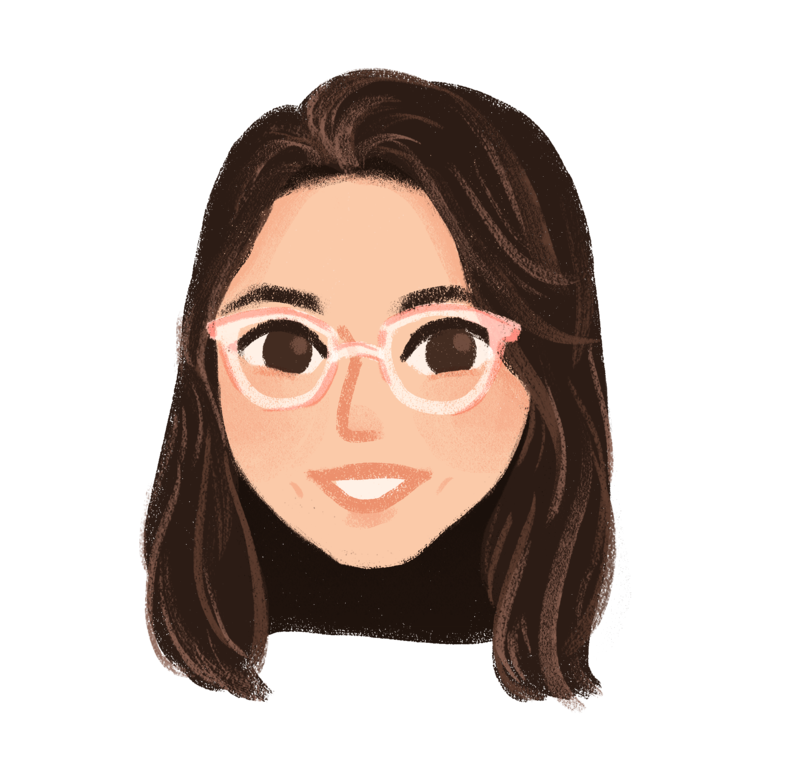 What makes me it so special? Why is to so expensive? Well, I’ll never know because we decided to look for a cheaper fare. 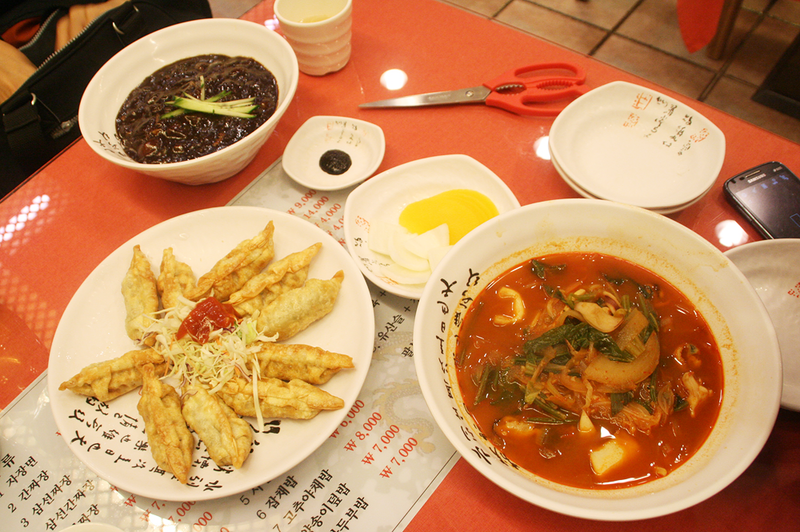 We walked a street away from these restaurants, and thankfully, we found one nearby serving jjamppong and jjajangmyun! 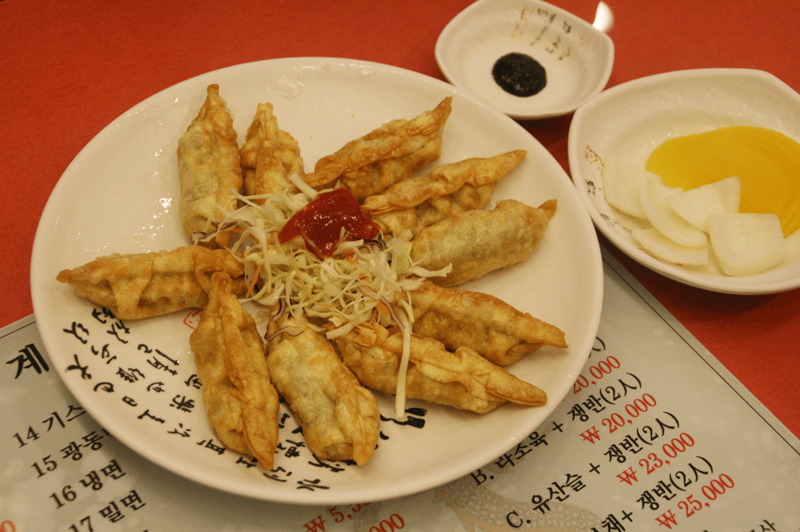 Busan is famous for the Korean-Chinese cuisine like the two I mentioned above. I love instant jjamppong so much, that I knew I had to try it when I visited the province. Kimpee’s a heavy eater, so he ordered jjajamyun for himself. 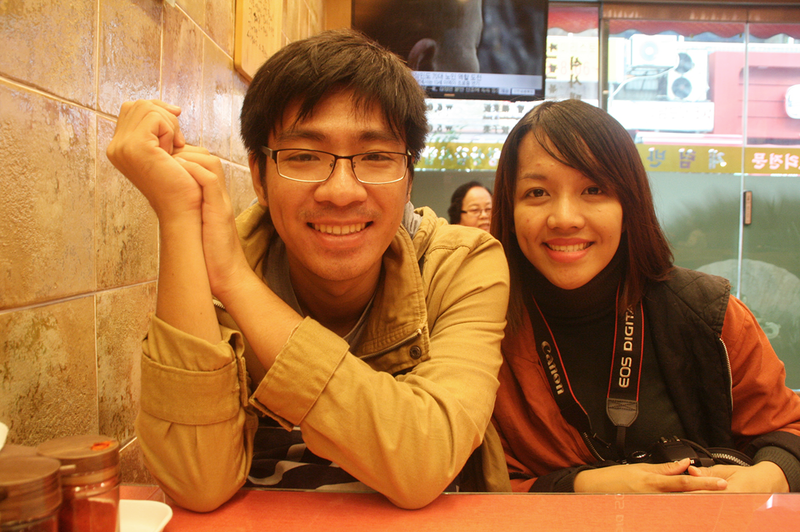 Jinky, Iris and I often ordered food for sharing, so we shared an order of jjamppong and jjajjangmyun. 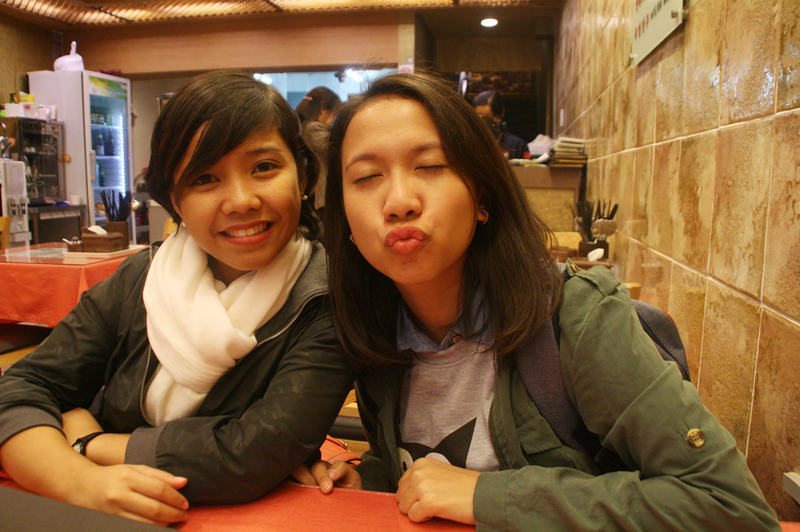 We also shared a plate of mandu among the four of us. It has to be one of my favorite meals during the duration of the trip! 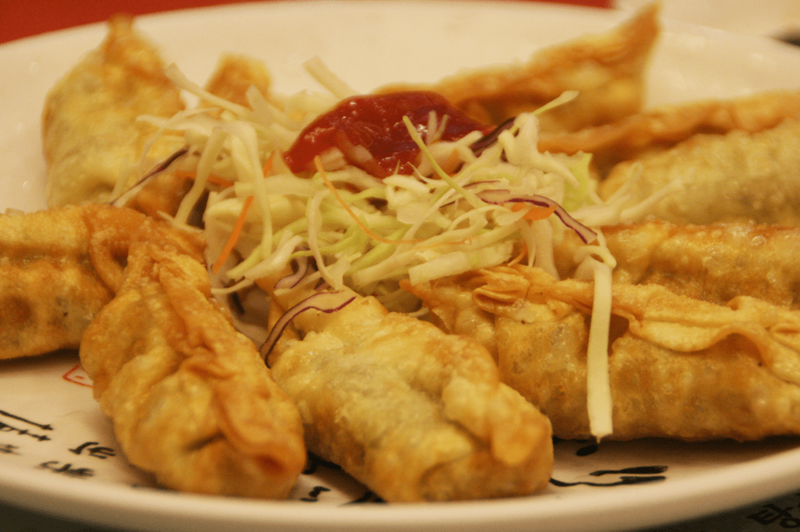 A close-up shot of our fried mandu cooked into crispy perfection! As an avid fan of Korean dramas and movies, I saw how the characters often devour bowls upon bowls of jjajangmyun like it’s the best blessing upon humanity. If you’ve seen the movie Castaway on the Moon, you’d also wonder how this black bean noodles taste, because how can one desire it so much? With this said, I was surprised at how bland and sticky it tasted. I was expecting a burst of flavors, a mouthful of savory goodness. It’s not bad per se, but it was far from what I expected. Basically, I was expecting more. 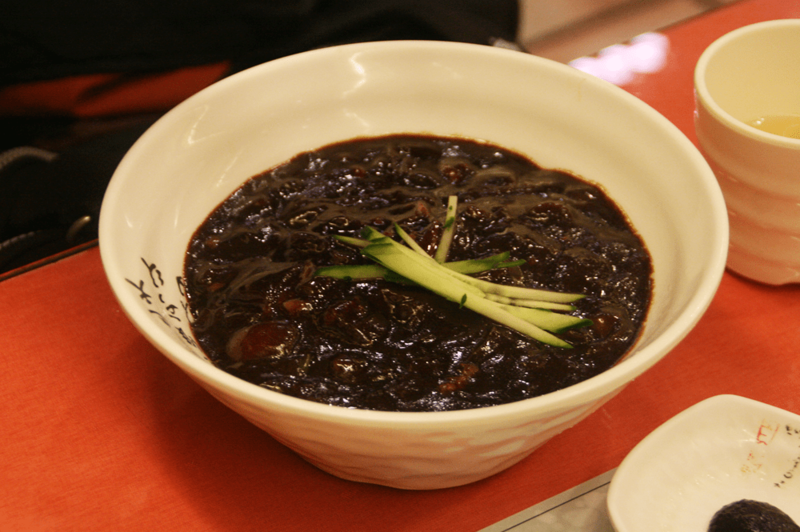 We still finished the big bowl of jjajangmyun, though. We were hungry okay? 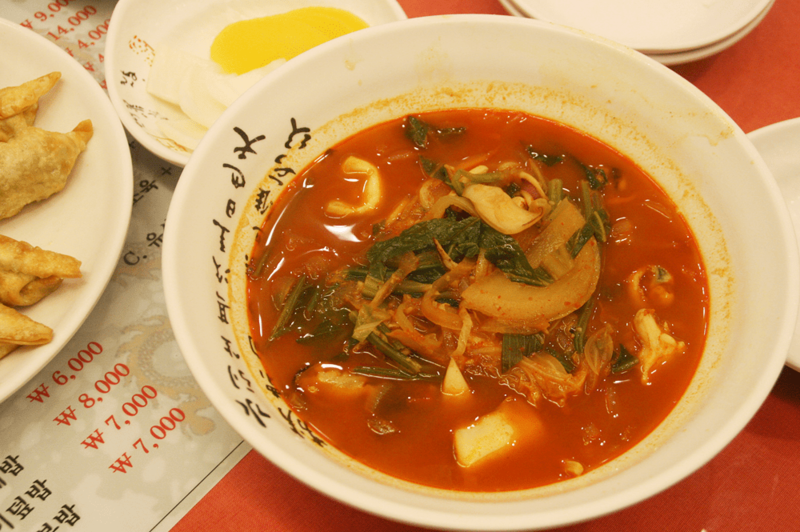 As for the jjamppong, well, this has to be one of my favorite Korean dishes ever. It’s definitely on the top 5! I cannot, for the life of me, express how much I loved this dish. The serving is definitely good enough for sharing, but I have a feeling that I could finish it off. BECAUSE IT’S THAT GOOD. It’s like all the fresh flavors of the sea were in that bowl of jjajjangmyun, and we, humble humans, were blessed enough to have a taste of it. I’m not even exaggerating. Of everything I ate in Busan, this definitely tops the list! Best lunch ever, yeah? I will gladly repeat it again, but probably order more jjamppong. The instant jjamppong tastes nothing like the real one. I’m weeping. 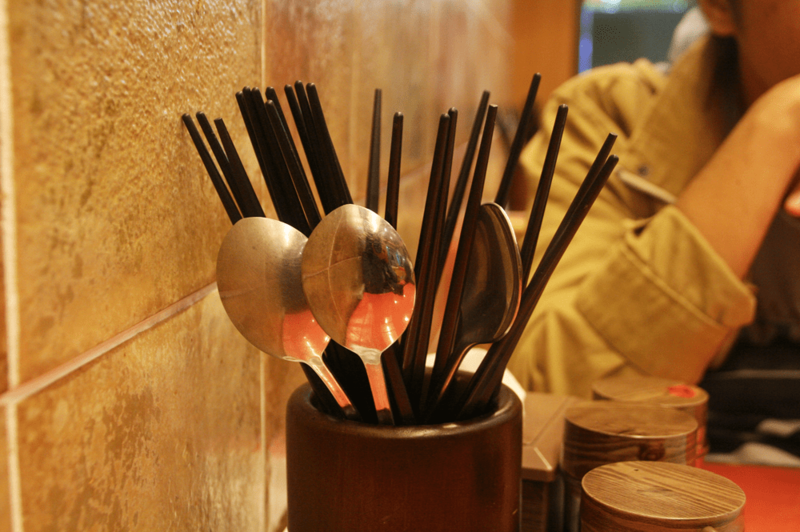 Korean-Chinese cuisine has to be the most ingenious fusion of cultures ever. * Closed every first and third Tuesday of the month. Drop off at Nampo Station (Line 1) and take Exit 1 or 3. Or you can drop of at Jagalchi Station (Line 1). 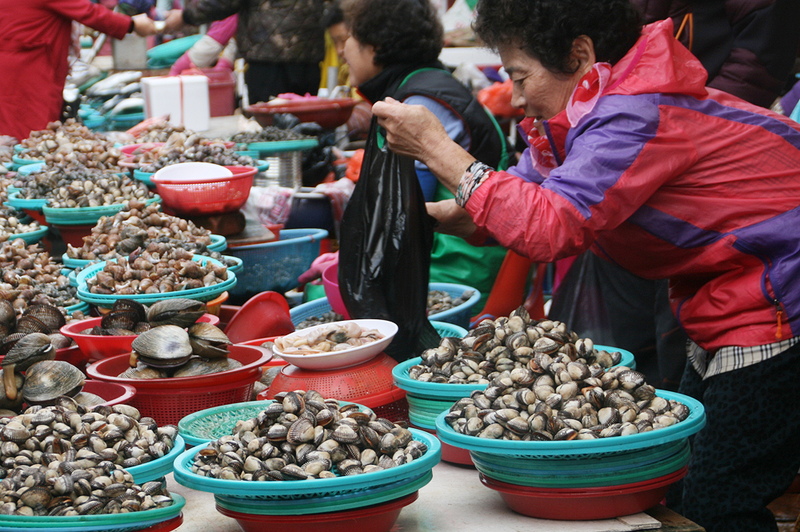 jjamppong in jagalchi market is the best! Nothing beats that. Where the exact location? I’m staying just beside the jalgachi market. Thanks for the post, I really enjoyed it! 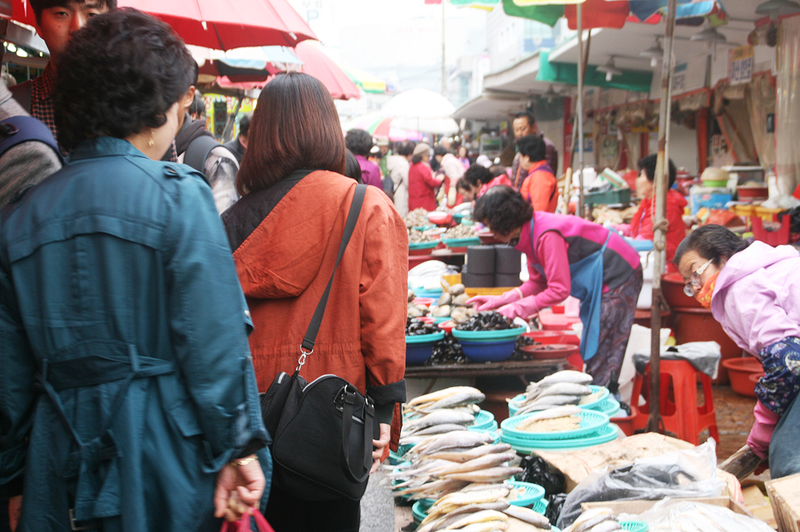 I recently visited Jagalchi for the first time on a visit to Busan and had quite an enjoyable experience. Please check out my blog post and photos about my experience at http://www.thebrazengourmand.com/?p=2911. Cheers! Thanks for dropping by! Busan is lovely, isnt’? I’d love to go back. Hi May I know the name of the restaurant if you still remember?